Dexter has been perfecting the art of engraving signet rings by hand, since 1969. 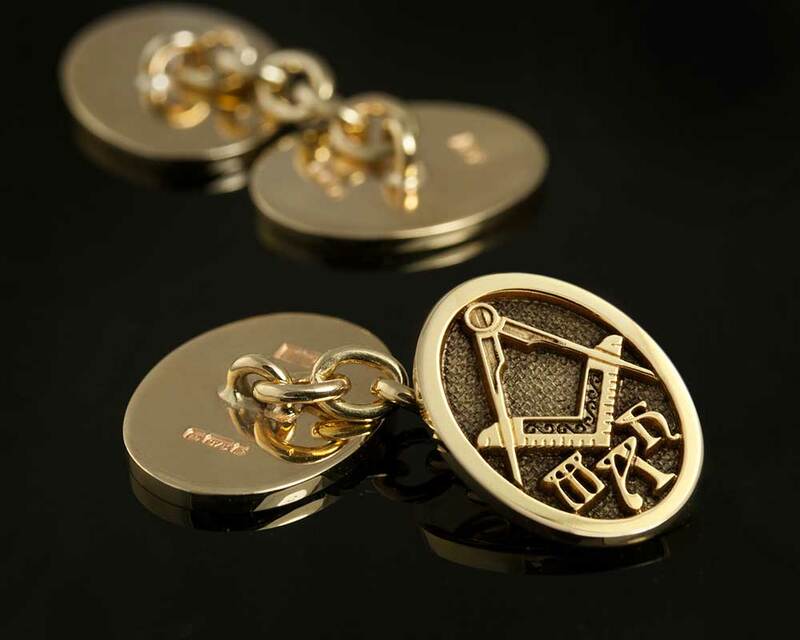 With nearly 50 years’ experience, our philosophy and commitment focuses on the pursuit of perfection and delivery of the finest crafted and engraved classic signets. 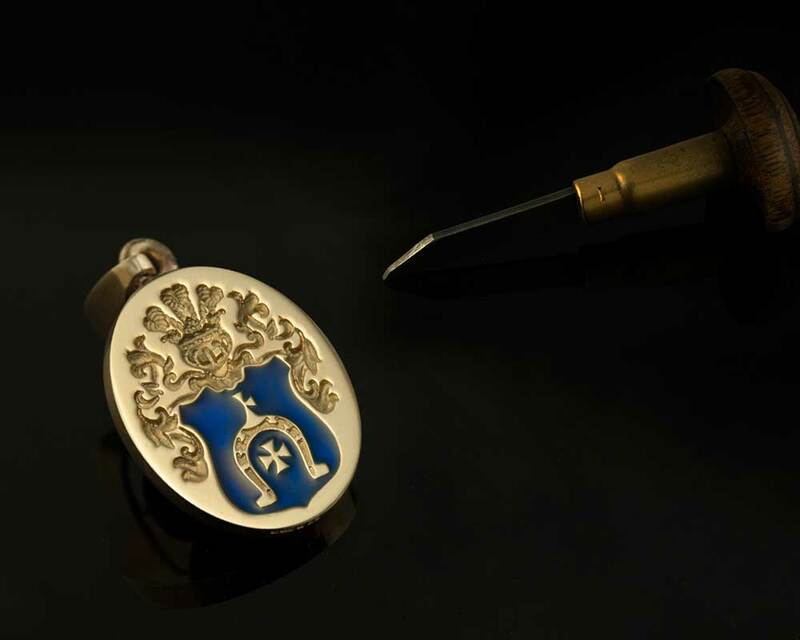 Our master craftsmen continue to use time honoured skills that have been passed down from generation to generation to create your authentic piece of unique and sublime British craftsmanship. Combining traditional handmade skills with continuous innovation, we start by creating only the very finest die-stamped rings upon which to engrave. 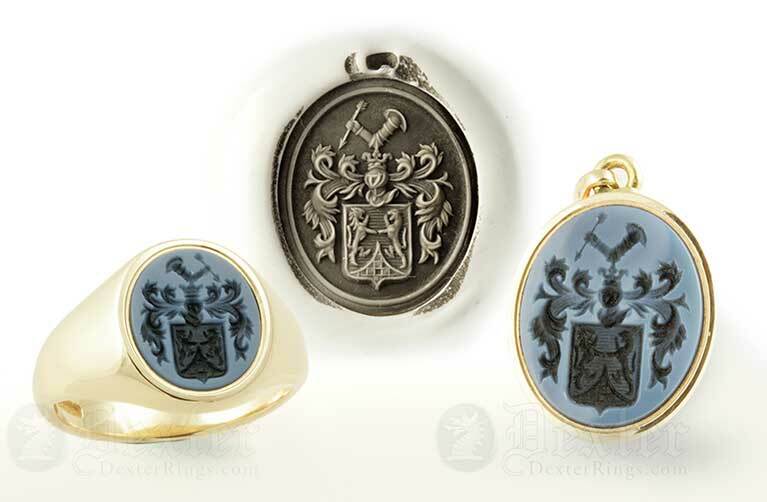 Dexter have a reputation of making the finest signet rings in the world. 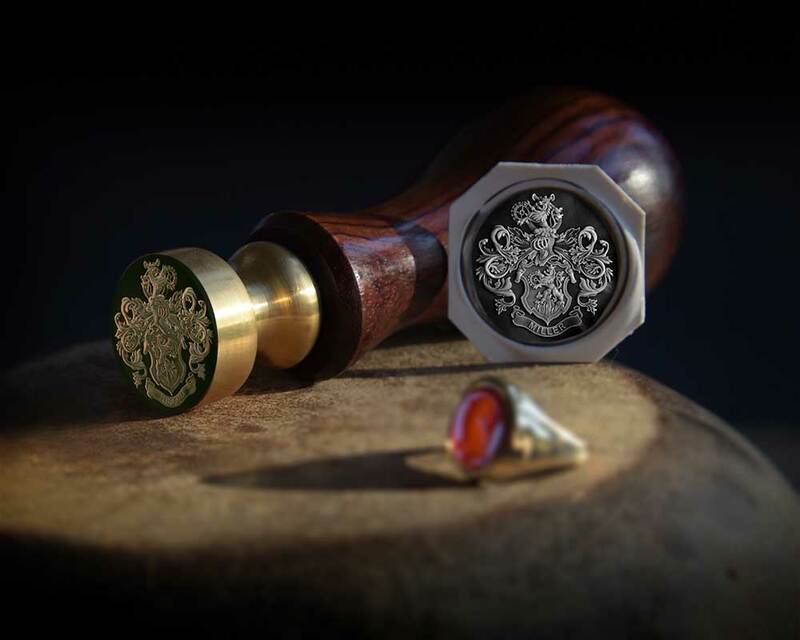 Each and every Dexter ring is a bespoke creation made to order, and personalised by you, a true heirloom masterpiece. So confident are we you will love your new signet ring we offer a no quibble money back guarantee. Elaborate arms or other design? Maybe your own artwork or simply an idea? Come see some example rings, choose a ring or other item & let us provide a quotation. 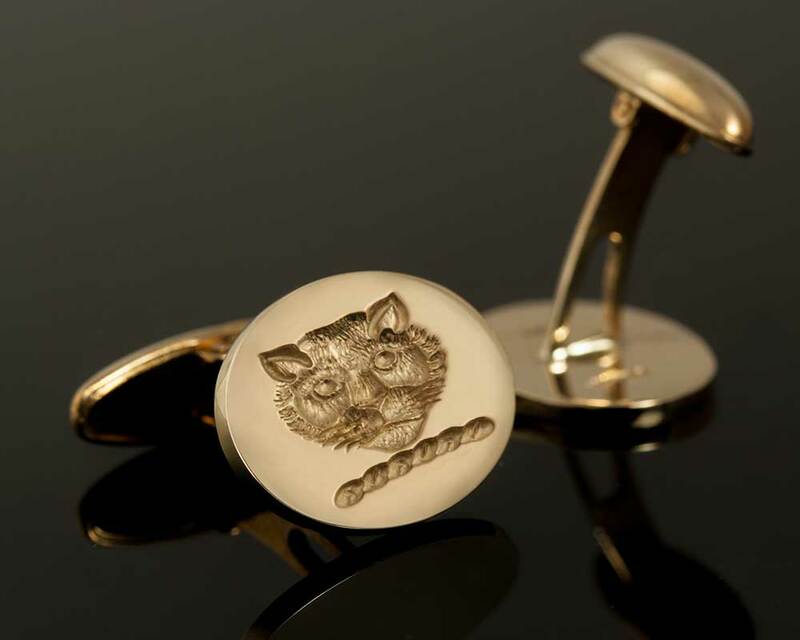 Any artwork or idea engraved, on a supplied gemstone ring, cufflinks, fob or pendant. Rare & Unique: See the beauty of engraved gemstone rings. Cigar Bands, Elegance Rings, Sculpted Signets even our Super-Size Ring Range. Take a look at a selection of rings and ideas – Let us inspire you! 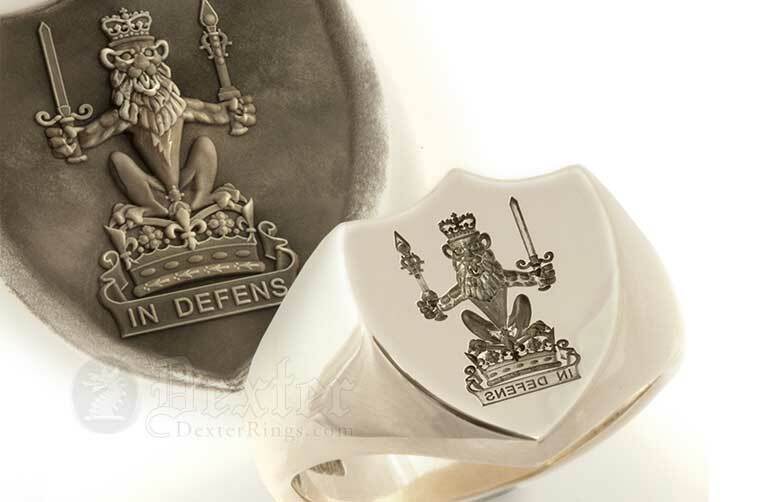 We also produce a variety of deep engraved products such as traditional desk seals, both ‘post back’ and ‘chain link’ style cufflinks, pendants. Apart from precious metal, the price you pay is dependent on the complexity of engraving. 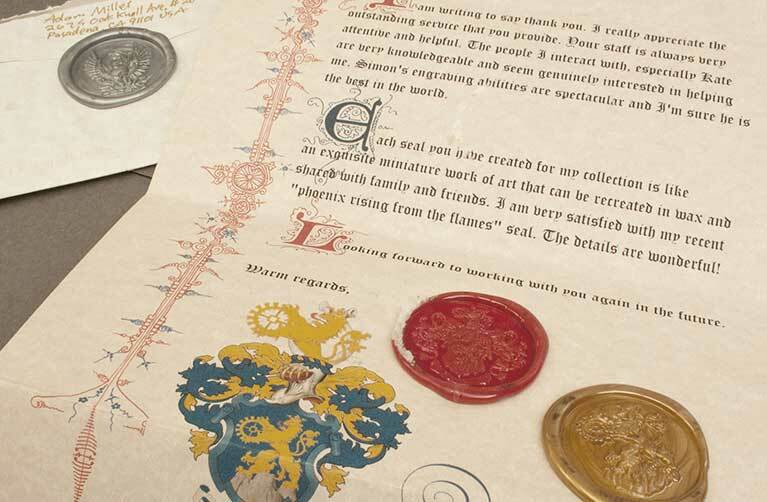 Products in popular engraving sections are costed for you, however if the engraving work does not fall into one of these sections you will require a quotation. Please start here to see examples of BUY TODAY and CUSTOM QUOTE only products. Here we hope to inspire, inform and hopefully entertain you. Please leave comments or contact us if you have an interest in any aspect of our craft. Crest or Coat of Arms? Our good friend and valued client from ‘across the pond’, Mr. Miller, has been having some fun with the desk seals we have created for him.